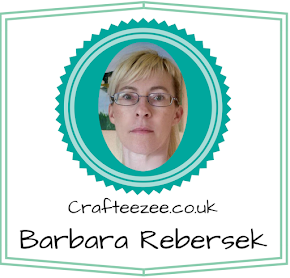 I have new card to show you today. 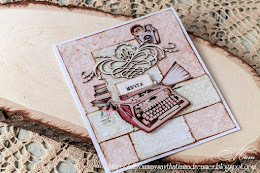 I made it with Jilian from Jilian and Friends - Whimsy Stamps -collection. The image is coloured with Distress inks. Today I'm sharing with you my first card made for NOOR! UK dt. I used Card Art A4 Window (pre-order available at Noor! Uk shop, expected next week) from Dutch Doobadoo. I hid 4 magnets under the design paper, so that the right side of the card closes over the left side and keeps it closed. It works really well. 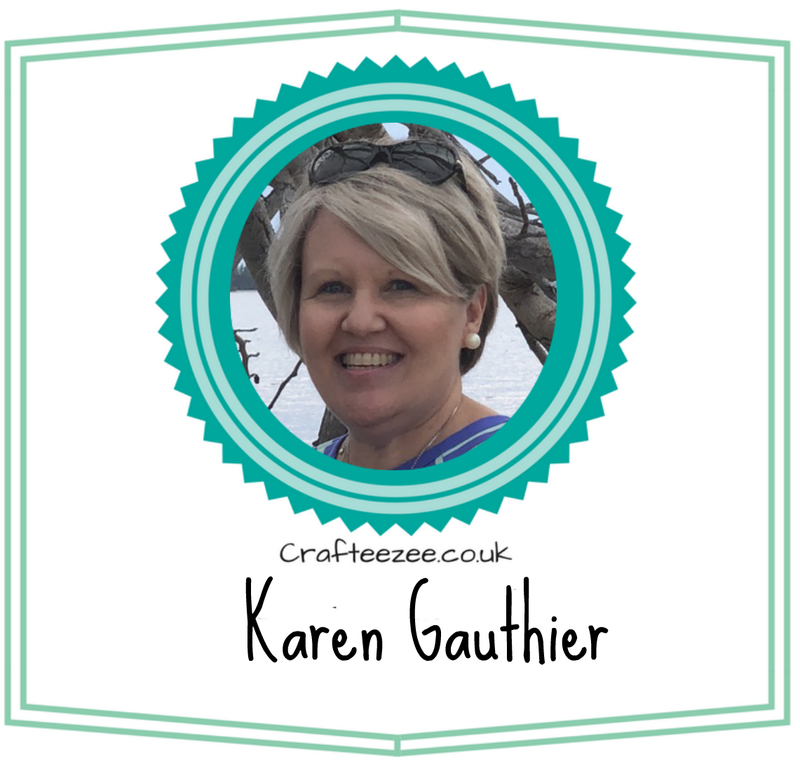 Firstly a huge thank you to you all for completing the hop and to all the girls from Papercraft Creations, your creations along with the Noor Design UK Team just blew me away. 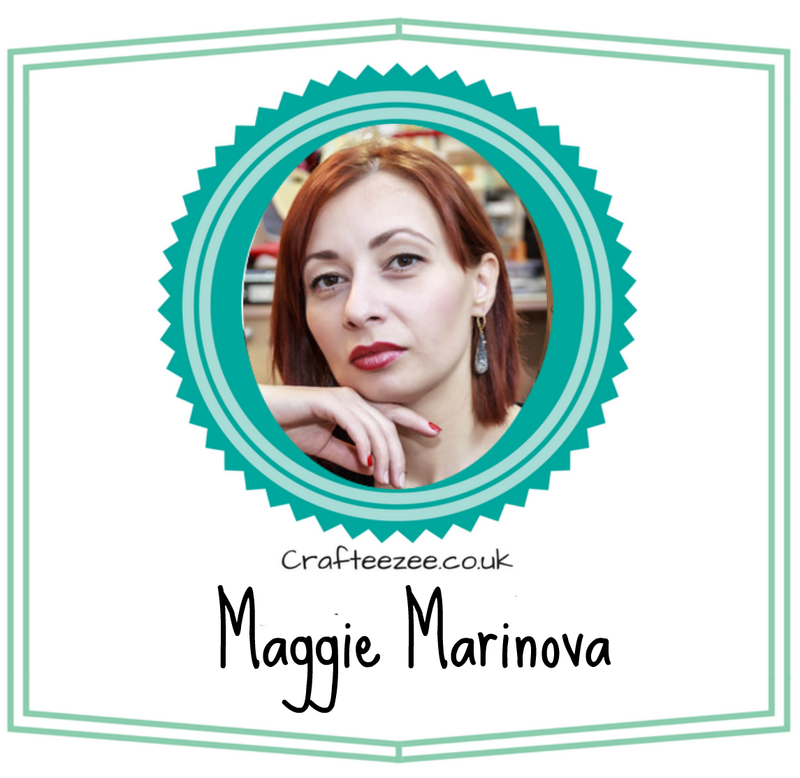 Ladies, please email me crafteezee.noordesign@gmail.com to claim your prizes. Craft & You Vintage Image. Sometimes, I really wish I lived in a warm country, I am so fed up of the cold. To have snow at the end of April is taking the micky. 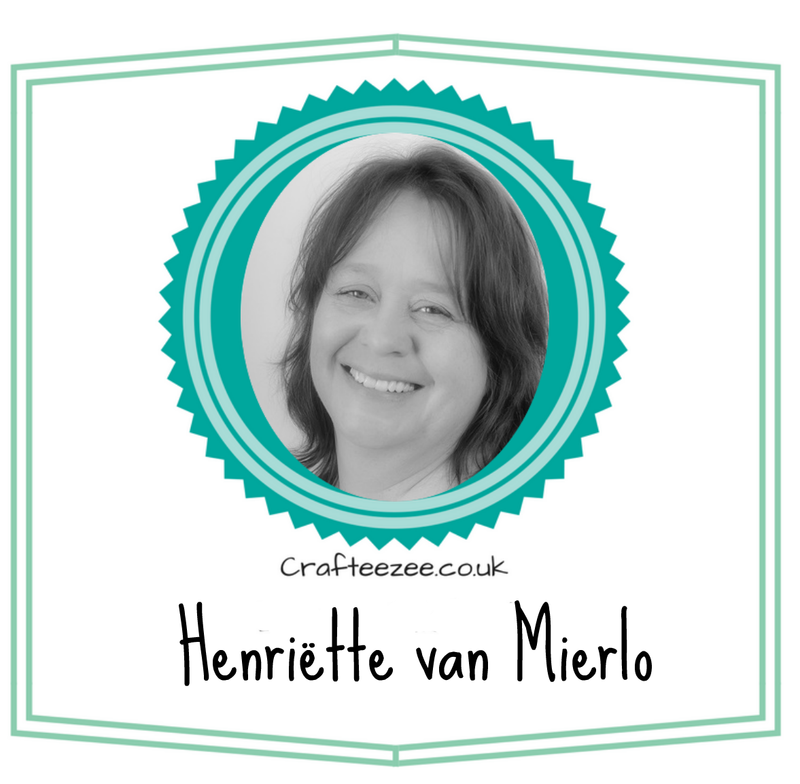 I have another card to show you today using a Crafts & You Vintage Image. 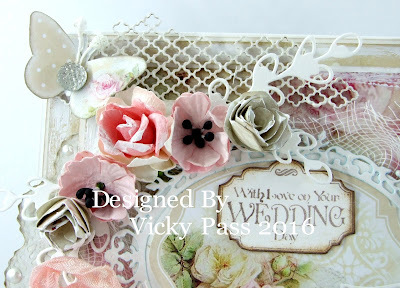 I have used again some gorgeous papers from Crafts & You. I can't tell you enough how fabulous they are. Such a heavy weight and beautiful colours. 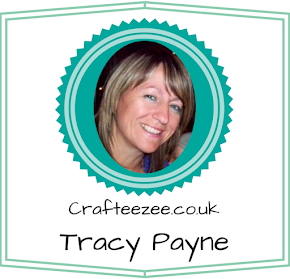 Tracy gave me some samples to try and I am so pleased with them I have ordered lots more. I have added one of the gorgeous woodchip frames around the image. Something else I need oodles more of. Don't think I will ever be able to retire!!! Anyway I better show you my card lol. All links are at the bottom of the post. Tracy is now stocking WOC flowers, she has a few on her website but there are more to come soon. 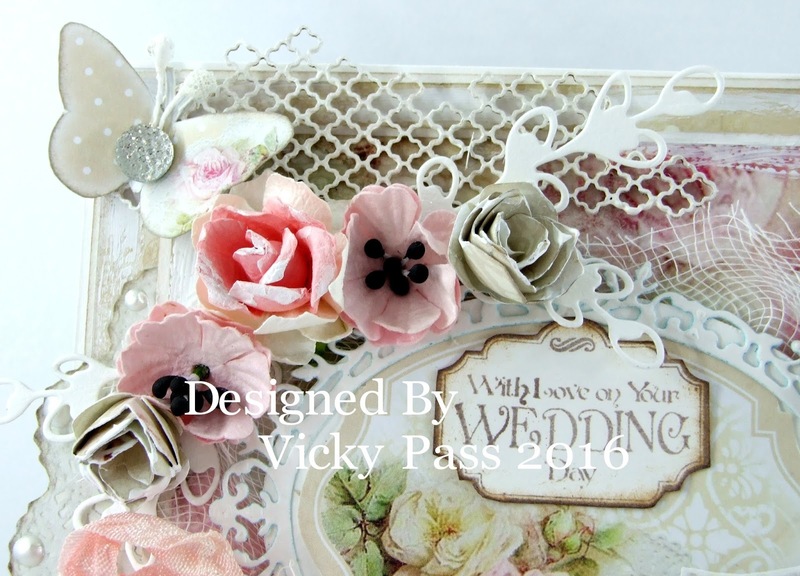 The papers are Crafts & You 'My Wedding'........although these can be used for much more than weddings. I've inked the edges with Pumice Stone distress ink & added gesso in places as well. The honeycomb shaped chipboard is Scrapiniec & has been painted with white gesso. Tracy will have this in stock soon........ I love this honeycomb bit, it adds that extra bit of something. 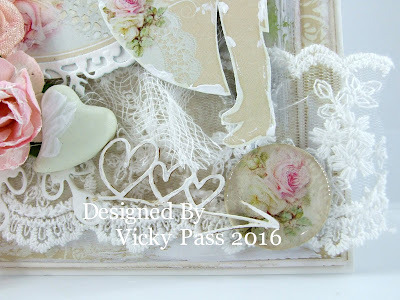 In the top right corner I added a Scrapiniec Corner chipboard, I painted it with white gesso & added dots of pearl with a White Pearl Pen. These chipboard shapes from Scrapiniec are awesome & want them all.........eventually lol. This chipboard was in a set & you get 5 pieces of chipboard altogether including 2 frames. So the lovely kissing couple I fussy cut out from the 'My Wedding' sheet 07, I added white gesso & some dots with the Pearl Pen for their eyes. I also fussy cut out that backing the sentiment is on then placed that onto the Oval die. I also placed CheeseCloth underneath the oval die. Again from sheet 07 I cut out one of the circles & turned it into a cabochon adding the cabochon cover which is from my stash. I added another Scrapiniec chipboard, the hearts on the arrow which Tracy will be adding to Noor Design Uk very soon. As I've covered up the paper I thought I would show you just how pretty it is so I've took a photo of the inside before I add a place to write a message. Isn't it just so pretty, trust me the photo's dont do this paper justice. At the side I fussy cut yet again from sheet 07 half a doily & placed it between the two layers of paper & added pearl dots. 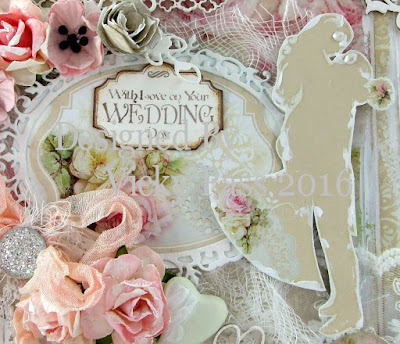 I also cut out the small butterfly from the sheet & there are still loads left to cut out.........its brilliant!! The rolled roses I used the die shown below & sheet 03, I inked them & added a little bit of gesso. 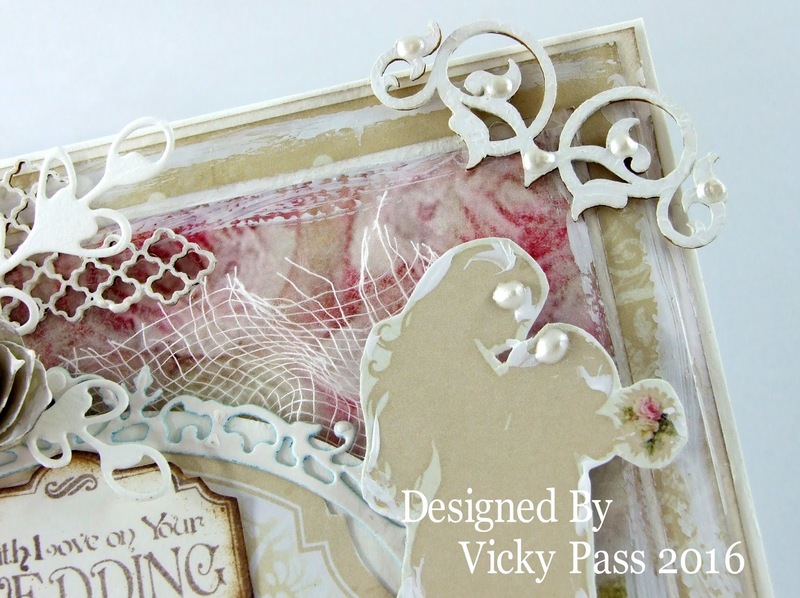 The leaves are also a new die from Crafts & You & cuts perfectly everytime. 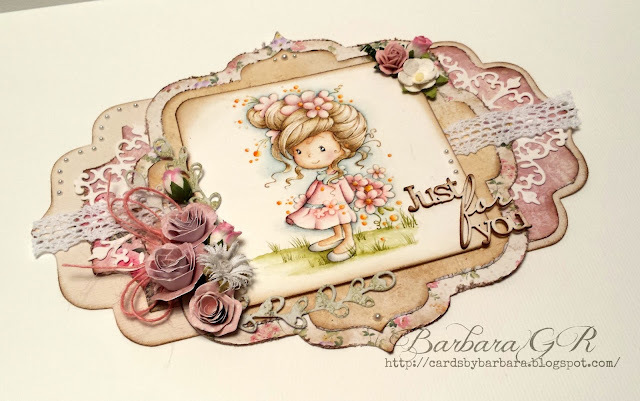 Well thats it form me, why not pop on over to see what new items Tracy has added & also what is due in very soon ;-) Lots of yummy things including the new Whimsy stamps........I've ordered some of those, they are sooooo darn cute!! Hello and good morning everyone! 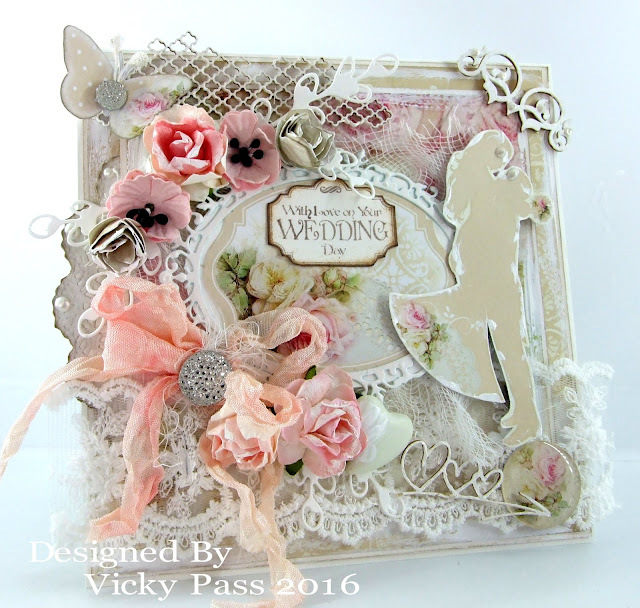 This week I had a play with one of the gorgeous Vintage images from the Craft & You 'My Wedding' collection. I also used the matching papers for my card. And as you can see image and papers are not only to use for Wedding projects. 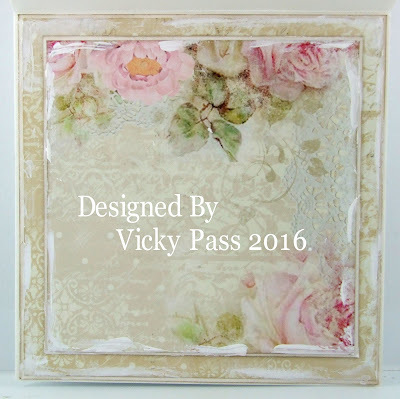 I so love those papers as they are of a fab quality and gorgeous design, and available for a really good price comparing with others. I only can recommend it to you. 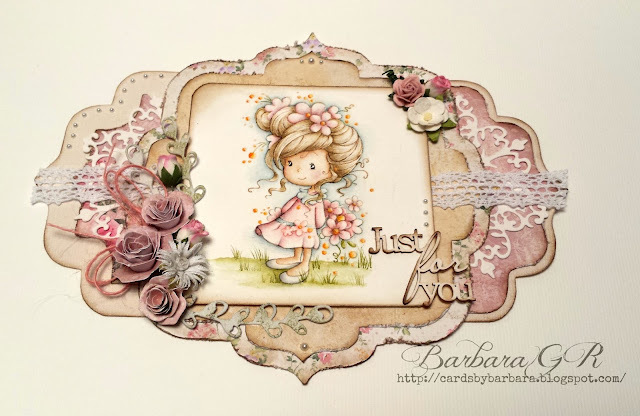 The image is printed in sepia and I colored a slight color accent in pink with Copics to adapt to the pink flowers. 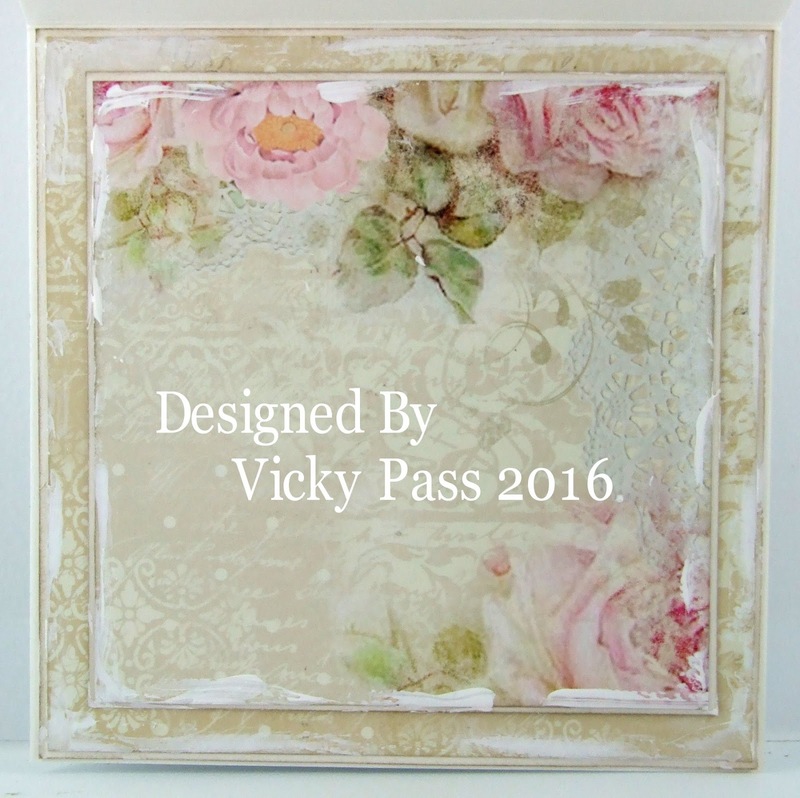 I framed this beautiful image with the Scapiniec Floral Frame Rectangle and LOVE how it looks like. I added the Butterfly Edge Die on three sides of my card. 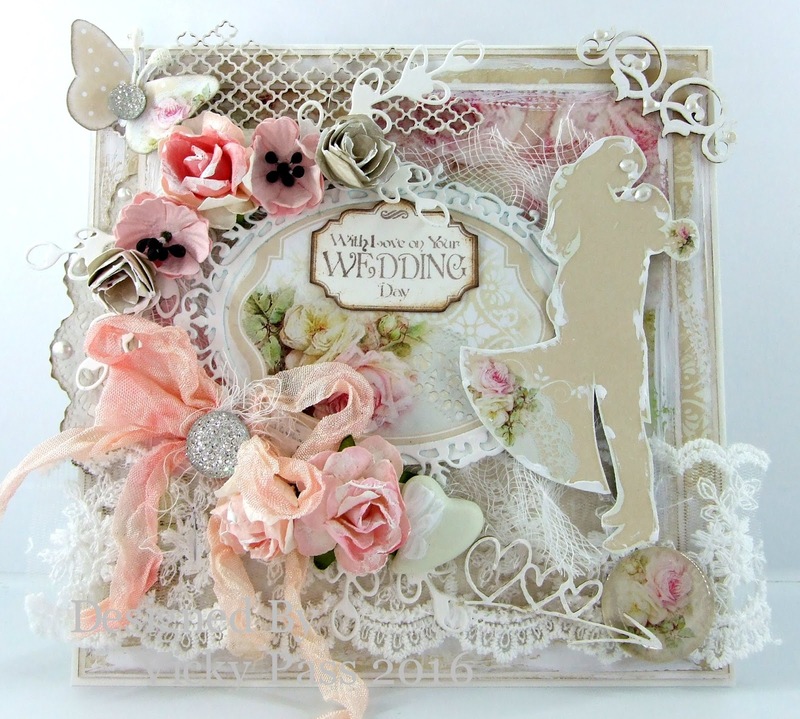 And die cutted single butterflies to give it more dimension. Thank you so much for your visit! Have a happy day!